Go beyond the urinalysis that you know. 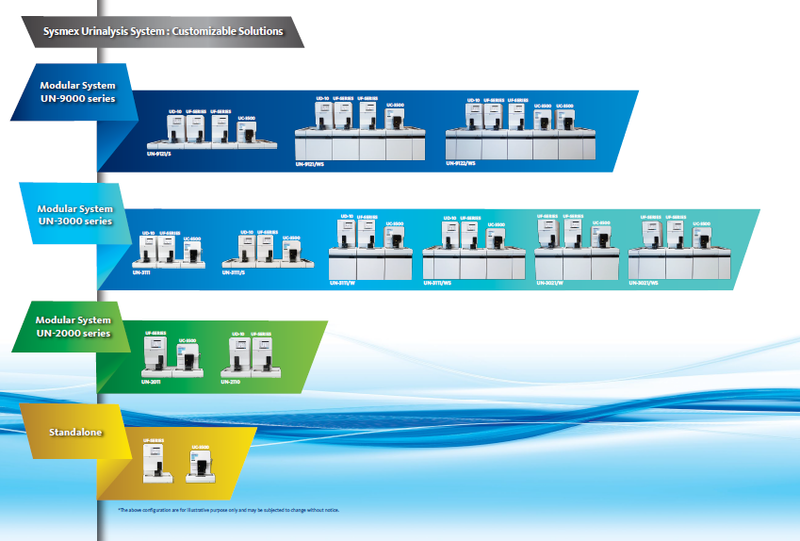 The Sysmex urinalysis modularity concept provides a smart walkaway system to improve workflow and productivity. The proven technology in UF-5000 and UC-3500 enables particles to be distinguished more effectively. 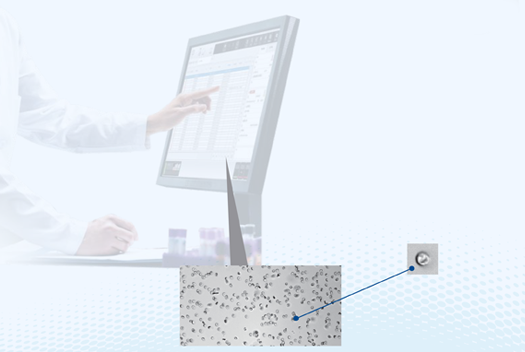 Intuitive user interface enables real time verification to minimize manual microscopic review. The UD-10 particle digital imaging device increases clinical confidence by eliminating subjective result interpretation and repeat testing. 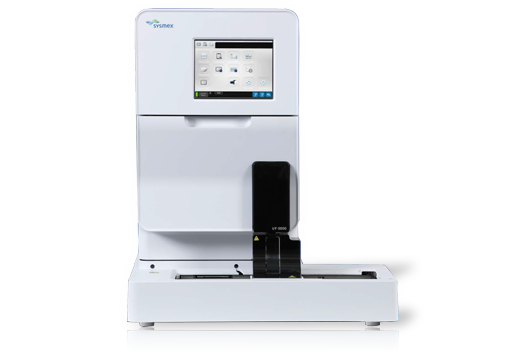 The heart and core technology of the UN-Series is the unique urine fluorescence flow cytometry, featured on the UF-5000. Bacteria differentiation in less than a minute. Fast and reliable throughput up to 276 samples per hour. New technology for photometry with Color CMOS sensor. Standalone or integrated with UF-5000 analyzer as a true walkaway analyzer. Additional kidney disorder screening with creatinine, albumin, Protein / Creatinine ratio and Albumin / Creatinine ratio capability. Photometry is performed with smart CMOS sensor image enabling high-accuracy measurement. 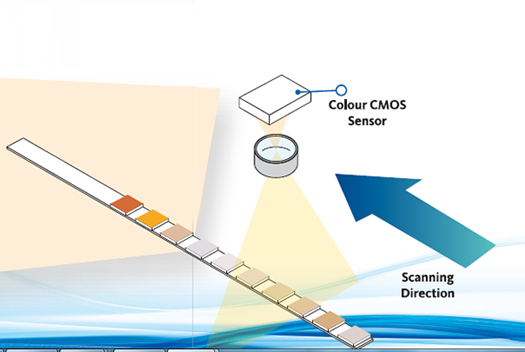 The optimized detection area of the smart sensor automatically detects test strip positioning. The measurements on each test pad of a test strip uses four wavelengths (430, 565, 660 and 735 nm). This particle imaging device uses a high definition CCD camera to recognize the difference in luminance between the particles and the background. Increase walk-away time and your lab’s productivity while giving more clinical value! 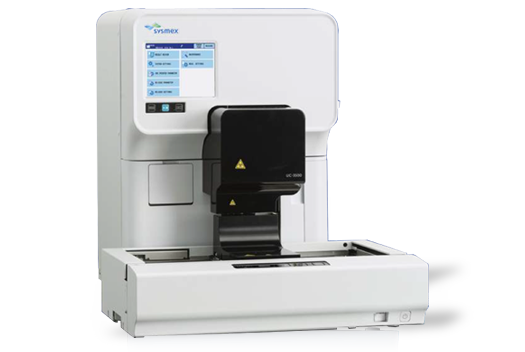 The Sysmex’s UN-Series covers the complete urinalysis workflow while offering maximum flexibility. You can select your solution to set up the workflow as you need it. 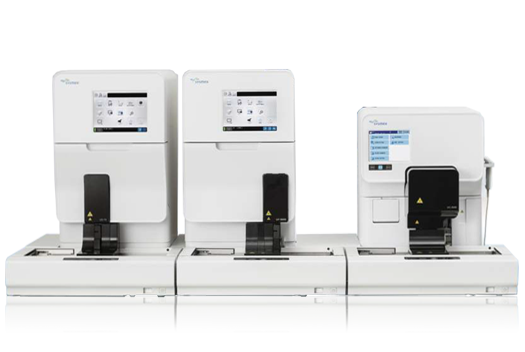 Whatever your choice, it means there will be no more hands-on urinalysis as the whole process is automated. 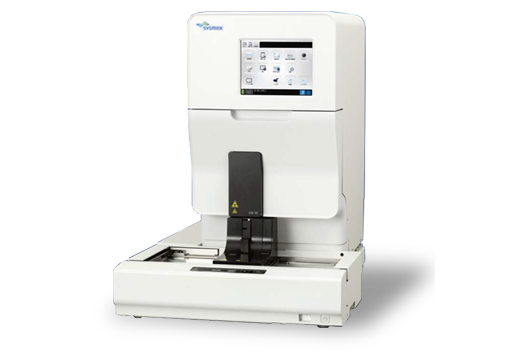 Fill out this form to request more information on this exciting new automated urinalysis system. Yes, I would like to receive future communications from Sysmex regarding their webinars. Yes, I would like to receive future communications from Sysmex regarding its products. Yes, I would like to receive future communications from Sysmex regarding the participation in congresses and events.